“Touchdown” Terry Wilson has been the talk of the University of Kentucky Wildcats. Just a sophomore, was given the reigns of the Wildcats Offense. After less than a half of play, Terry Wilson has given Big Blue Nation cause for concern as he hasn’t been very productive. Wilson appeared to get injured and was subbed out after producing 3 turnovers. All 3 turnovers resulted in points for the Central Michgan Chippewas. The Wildcats’ offense seen the emergence of redshirt freshman running back Asim “AJ” Rose in the first quarter. Asim Rose gave Benny Snell a breather and on his first carry of the game busted a 55 yard touchdown run. Snell would match Rose with a 52 yard touchdown run of his own in the 2nd quarter. The Wildcat’s would finish the half rushing the for 160 yards on 18 carries. 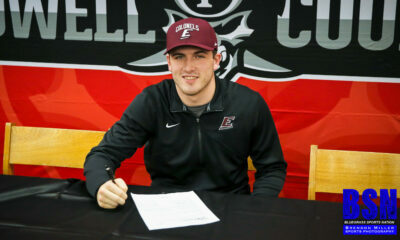 Coach Stoops turned to Gunnar Hoak a 6’4 sophomore from Dublin Ohio. Hoak breathed life into the big blue nation driving the cats 71 yards on 6 plays in 41 seconds. The Cats scored on a 24 yard laser from Gunner as he connected with David Bouvier for their first career touchdown at UK. Defensively the Cats played well in the first half only allowing 158 yards. Led by Eastern Kentucky native Kash Daniel the defense was put in some precarious situations due to the turnovers. The Cats also had a targeting call against Chris Westry on a 3rd and long that resulted in his ejection on the play. The Chippewas would eventually score on that drive from 4 yards out. Even with the great play on the defensive side of the ball the Wildcats still allowed 20 points. UK took a slim lead into the half, up 21-20. 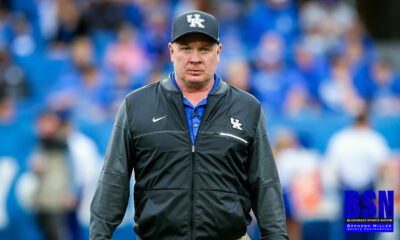 Coming out of the half what adjustments would Coach Stoops and company make? Will Hoak remain the quarterback for the Cats? 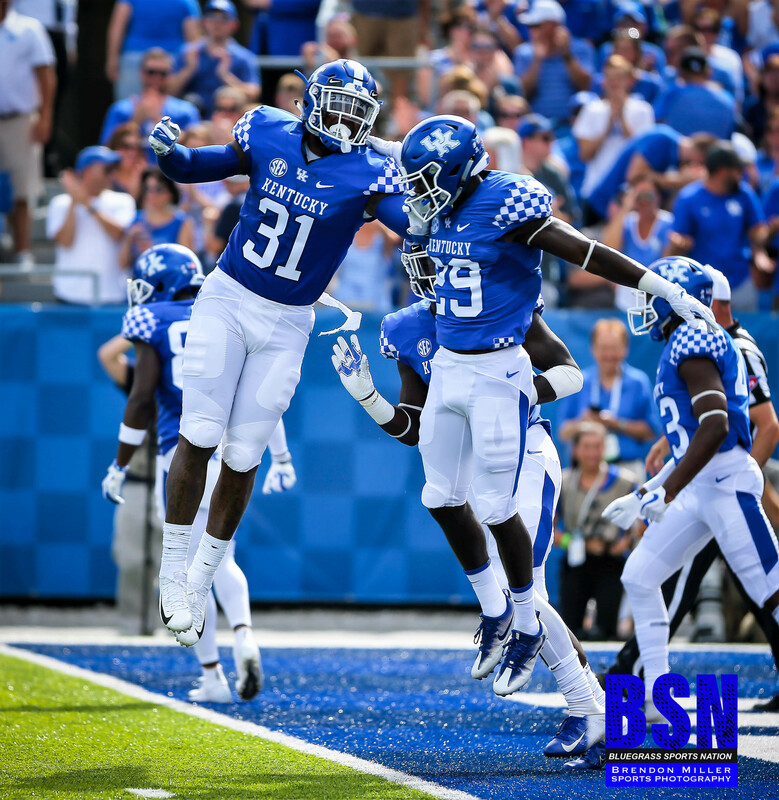 Will Touchdown Terry live up to his name or will he now be known as “Turnover Terry?” Was the touchdown by Asim Rose a fluke or do the Wildcats have a complementary running back for Benny Snell? We would get answers to all of these questions from the very first snap of the second half. Gunnar was unable to move the ball down the field on two consecutive drives to start the 3rd quarter. The Wildcats went 3 and out on both of those series. The inconsistent play opened the door for Wilson to get another shot at being the signal caller. Wilson on his first possession of the second half led the Cats on a 3 play 40 yard drive which was capped off by a Benny Snell 11 yard touchdown run out of the “Wildcat Formation.” The Wildcats extend their lead over the Chippewas 28-20. Game planning for Benny Snell was hard enough. Now that opposing defenses have to game plan for both Snell and Rose, that’s a defensive coordinator’s nightmare. If the Cats can get solid play from their quarterback position they will be dangerous offensively going forward. The Wildcats finished with 299 yards rushing on 43 carries. They added 128 yards on 15 of 27 passing. The Cats ran 70 plays for a total of 427 total yards. They did turn the ball over 4 times in which 3 of those turnovers led to points. If the Wildcats want to beat Florida next week they will need to eliminate those turnovers.